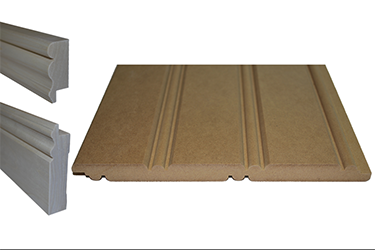 Our Premium Beadboard is 5⁄8" thick and is a "Cut Above The Rest ". 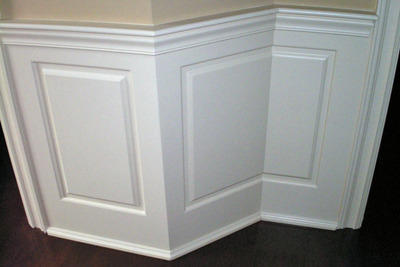 A sample of the 2 1⁄2" top cap and 4 1⁄2" solid poplar basbeboard moldings are also included with the beadboard sample order. We call our beadboard reversible because on one side the beads are on 2 5 ⁄8" centers and on the other side the beads are on 4 " centers. 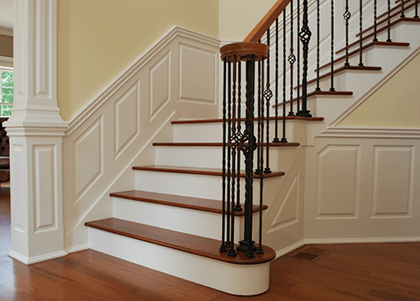 The reversible beadboard is a great feature because you can place the panels on the wall one way and then flip them to see which centering looks best.